Ulta cosmetics are not actually a makeup product line, but a complete one-stop-shop beauty supply store. Whether you visit them online or in your home town, they offer a wide range of products at below average retail prices. Ulta started in the year 1990. After the decade of indulgences in the 1980s, the company saw a need for an all-purpose beauty supply store that could offer the elegance of cosmetics without the high prices. They combined the concept of a salon, department store and drugstore into one large super beauty supply store. With over 12,000 products and 400 brands available, they are a true community with advice in a help yourself atmosphere. Known for prices at around one third of the average retail price for competing products, they provide a low pressure shopping design. Ulta Cosmetics truly offers something for everyone. With 150 stores across the United States, you may just be lucky enough to have one near you. A nicely decorated, packed with products store is what you will discover at Ulta Cosmetics. Many visitors praise the low pressure sales force who offer great advice with a genuine feel due to the relaxed approach. The shelves are lined with high-end products at reduced prices, to the more standard selections with better pricing then the typical drugstore. Not simply a product supply store, Ulta Cosmetics also provides a top notch salon experience on site. With hair and spa style services, they are notorious for presenting a wide range of beauty assistance at reasonable prices. 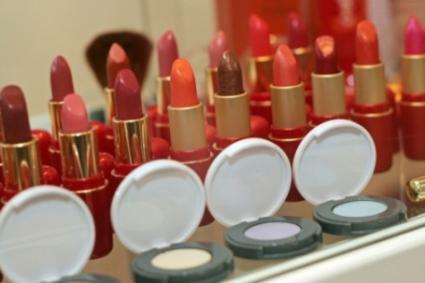 Ulta has become a full service beauty retailer with prestigious brands and cosmetic consultation services. While visiting, sign up for an Ulta Card offering the opportunity for specialty discounts at their store locations. For a location near you, check out the online store locator at their website - www.ulta.com. While the store concept evolved in the early 1990s, the ecommerce presence on the Internet is a more recent addition. The Ulta Company wanted to provide their successful beauty retail concept mirrored on the web for a wider audience range. Arranged to offer free gifts with purchases, free shipping on orders over $65 and down and dirty clearance specials, they have created a standard discounter Internet superstore site specializing in beauty products. Essentially designed only as a shopping site, the best features are their category and search functions. When you visit the Ulta website as a customer their structure easily offers many options for shopping. Browse by brand, category or product. Search for specific key words that will introduce a boutique style structure. The concept is to take you to a selected boutique based on your search words, instead of displaying masses of options to you. This customized style of searching is much like walking down the aisle of the store itself; instead of sending you on all sorts of directions like many search engines on other shopping websites. Ulta also offers gift cards - like many retailers these days. The advantage of the Ulta cards is the receiver has a wide range of products to select from with the unique assortment of products and brands found at the Ulta website and stores.